Heather Johnson. Photo - Ross Parry. A Chesterfield grandmother-of-four has a terrifying six month wait to see if she has been infected by a dirty needle used for her FLU JAB. Heather Johnson was horrified to discover a nurse attempted to administer the annual injection with a needle taken from a blister pack of USED syringes. A doctor came to visit the mum-of-two and her husband, Ian, 60, at their home in Brimington four days later to explain that a nurse had put a pack of used needles back into the fridge - where unused vaccines are stored. Heather, who is a carer for her mother, is now worried she could be carrying any number of blood-borne illnesses such as HIV or Hepatitis and even fears kissing her grandchildren. After visiting the Royal Primary Care medical centre in Staveley for a routine appointment on November 13, Heather, 58, said: “I was asked if I wanted a flu jab while I was there and I said yes. “When the nurse went to give me the injection, she put the needle in my arm and said ‘oh, it’s empty’. “She took another needle out and that was empty too. The nurse didn’t explain anything to me, just got out another pack and gave me the jab as normal. It was only when a doctor rang later on in the week and said he would be around in ten minutes that she started to panic. The doctor, a Dr Perez, explained that they had whittled the patients the used needles could have been used on down to 12 - and that the chances of infection were low. 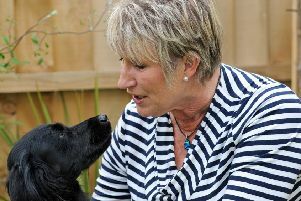 Heather said: “I was told that, as a precaution, I would need to have a blood test in three, and then six months, to check I had not contracted anything like HIV or Hepatitis B.
Heather, 60, lies awake at night worrying she might be suffering from a terrifying illness. Postman Ian said: “We were angry that the doctor seemed very blase about the whole incident. “He just explained it away by saying ‘well we take risks everyday’, but I don’t agree with that. My wife was having a flu jab to eliminate risk. In a statement, Royal Primary Care said: “One of our GPs and nurse practitioners went to see the patient and their family at home, as soon as this incident happened - to apologise, to explain what had happened and to agree on-going care and support. “We know this is an anxious time for them and are sorry for the worry it has inevitably caused. “Working with specialists at NHS England we have already changed and strengthened our surgery’s vaccination policy and our investigation is continuing to review exactly how this was able to happen.